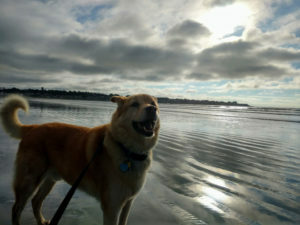 Beach Dog Says: I love my new condo hotel home! I started writing Lazy Man and Money in 2006 due to a unique wake up call: My fiancé was going to retire at age 43, with a military pension due to 20 years of service. Who wants to work another 22 years after their spouse retires? At the age of 30, I could look to retire in about 12 years with her, or work 3 times as long and retire at 66. My mission: Explore and build income streams. Around that time I had read that investing in hotel rooms was a hot new market. This isn’t just buying shares in publicly traded hotel company. This is buying something called a condo hotel. A condo hotel is exactly what you may imagine it is: a combination between a condo and a hotel. Basically it works like this: You buy the hotel room as if it’s a condo. You can stay in that room whenever you want (it’s your room after all). Alternatively, you can release the room back to the hotel for a split of the proceeds when it’s occupied (the hotel gets money for managing it). The rules seem to be different for each property, but that’s the gist. It’s legally managed like a condominium, but the operated as a hotel. When I first heard of this back in 2006, it seemed like a crazy, but cool idea. Nowadays, it makes more sense to think of it as a condo that you buy with the intention of turning it into an AirBnB. Sounds like an exciting investment right? I find that often get enamored by the best case scenario. Even if I had to pay fees for maintenance, at $150 a night is over $50,000 a year. This was also around the time that Paris Hilton was starring in the Simple Life. Not everyone is able to start or buy a whole chain of hotels. However, one room? That’s something that an individual investor might be able to do. Around the same time that I was reading the article above, I had heard that the The W in Las Vegas was looking for investors. The main big investors were in place, but they were looking for individuals to buy in. That helps with their building costs too, right? The premium W brand and quality. At the time, I had a friend who traveled a lot for business and he really loved the W brand. The premium tourist location – Las Vegas. When I think of people vacationing in Las Vegas, I presume that a certain large number have a lot of disposable income. I like the combination of people with a lot of money looking to spend it on a luxury experience. The pre-construction pricing, which I presumed would be the best rates. While this is not always true, it feels like the early bird should get the worm, right? Ultimately, I decided not to buy into the W condo hotel opportunity. If you’ve read the Wikipedia write-up that I linked above, you know I made the right decision. It sounds like it was an unmitigated disaster. One of the easiest ways not to buy something is to literally not have the money. I might have been able to make some terrible financial decisions like sell off some retirement accounts (absorbing a big penalty) and leveraging a mortgage. That’s not a good idea for almost any investment scenario. However, even if they had good vacancy and nightly cost estimates, they couldn’t give them to me. If they give out that information, the condo hotel qualifies as a security to the SEC and gets regulated much more rigorously. Where Can I find a Condo Hotel? Typically condo hotels are in resort places like Orlando or Miami in Florida and, of course, Las Vegas. I wish I knew some reputable companies to work with. This is why I felt a little better working with a big trusted brand. I don’t think I would have given my business to Joe’s Condo Hotel Sales ‘R Us. If you know a trusted, household name that works in this area, I’d love for you to leave a comment with that corporation’s name. When I decided to do this review, I wanted to pluck out all my nose-hairs for even considering it in the first place. However, I as I reflect more about it, I am taking a more balanced view. I’m not sure if all condo hotels are a bad idea. Perhaps it could work for some people in some situations. I’m trying not to make a blanket judgment based on one ill-suited (to me) condo hotel that seemed to have difficulty. After all, this condo hotel example is precisely why I started this blog. I wanted to share ideas to sort out which are good and and which are not so good. I did find one example of someone who did find a condo hotel that works great for them. My friend J$ did the heavy lifting in an < href="http://www.budgetsaresexy.com/we-bought-hotel-room-called-condotel-live-in-it/">interview with someone who lives in a condo hotel. I hoped that readers would help me by keeping me grounded from bad ideas. Along the same lines, I wanted to help others where I can as well. It’s always great to have discussion around a topic. That why I am begging you to leave comments at the end. If there’s one topic that needs more discussion, it’s condo hotels. I rarely see anyone talking about them. Quick House Keeping Note: It’s a busy time in our home. I refer to these two weeks as the “summer hole.” (I need to come up with a better name.) It’s the time when our kids are out of school and camps haven’t started yet. We’re in year two, so at least we were prepared this summer. We scheduled a little vacation and some other activities. In other words, expect the writing to be a little limited until the 18th or so. One of the main ideas of that book is that you trade your life for money. By limiting consumerism, your money goes further, you can retire early (if you choose) and get your life back. That’s really the core of the FIRE (Financial Independent/Retire Early) movement. Today, there’s a lot more focus on tiny houses or even living in trailer. I get excited when I watch a tiny house television show because it seems like everything is amazingly efficient. I’m not sure how practical living in a tiny house would be. Sometimes things that sound great don’t pan out in real life and this may be one of those things. 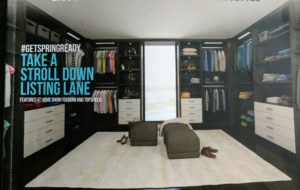 Does anyone’s closet really look like this one from NEHomeLife.com? Last month I picked up a free magazine, New England Home Life. The closet on the cover caught my attention. It is bigger than most best bedrooms and seems to have very few clothes. It was so ridiculously not like any normal closet that I had to pick it up. Surprisingly, there was an article in there that was the exact opposite of the cover, Tiny Home Living, by Mary Hullett. I wish I could share it with you, but it isn’t available online from what I can tell. “For most Americans 1/3 to 1/2 of their income is dedicated to the roof over their heads; this translates to 15 years of working over your lifetime. I was just about to start to go into all the math behind that, when I realized that it really isn’t that complicated. I think we can presume that a typical working career is typically 45 years (age 22 to 67). A lot of things vary, but that’s exiting college until retirement, which gets extended a couple of years as people live longer. So 1/3rd of your income is 15 years of working. If you spend half of your money on your home, it’s 22 years. For me, that drove home the true cost of a home. Of course, the alternative of not having a home isn’t a good plan. That’s where a tiny house comes into the picture. I’ve seen them starting at around $40,000. That’s the kind of mortgage that many people could pay off in less than 10 years. It’s like getting a decade (or more) of financial freedom. I ran some numbers on how much of our income our own regular-size house is. Because my income varies a lot from year to year, it’s impossible to get an exact number. It is around 20% and it would be less if we had a typical 30-year mortgage instead of a 15-year one. Look like we are in good shape. There’s one more thing that I can’t help but think about. We have 3 rental properties (condos) that mostly pay for themselves. Two are them are very similar as they are in the same complex. They should be paid off by the time our kids are 15 years old. There’s a very real option that they’ll have the choice of a free home. (Or we may decide to keep it to support ourselves.) It’s hard to imagine the financial challenges more than 10 years from now, but I think that having that home will be the kindling for their own FIRE. This past weekend my mother brought me a postcard that she got in the mail. It was from real estate agent announcing the selling of this home. I’m sure you’ve gotten similar mail, right? I decided against buying in that building. I don’t remember the exact reasons why, but it was very close to where I grew up, had no yard, and no pool. Instead, I opted to buy a place that was a little further with those things. It was closer to my job and a little further from Boston. I paid $278K and now it is worth around $250K. In 13 years, it’s depreciated by 28K or around 10%. I’m going to make a huge oversimplification here. I’m going to ignore that the former property would have stretched my finances. I’ve rented the later property a lot longer than I lived in it with the rent covering most of those expenses. Viewed through that lens the cost of the property is minimized. With all that pushed to the side, the road not taken would have netted $85,000 in equity (turning a 28K loss into a 57K gain). My wife and I are living in Silicon Valley. A coworker and I have an interesting conversation. 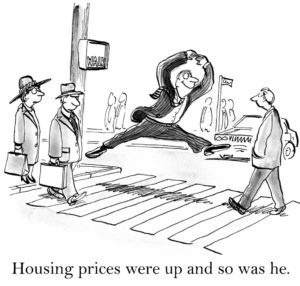 He makes the point that buying a home in Silicon Valley is always a good investment. That sounds crazy to me. At the time a 1000 sq. foot home that should be torn down was going around $650,000. We were able to rent for a fraction of what it cost to buy. It was one of the few places in the world where the buy vs. rent equation was far in favor of renting. It wasn’t even worth thinking about. In hindsight the prices in Silicon Valley just kept going up. I haven’t looked up the pricing in the last few years, but I’m sure that $650,000 house is around a million now. It’s no use crying over spilled milk, but I found it interesting. There’s a lot of truth to the big purchases making a huge difference in your financial life. For every negative, there’s a positive though. We did buy two properties in 2011 and 2012 near the bottom of the market. We’ve been able to build a lot of equity that way. Do you ever stop to reflect on financial decisions you have made (or didn’t make)? * I’m quoting Steven Tyler who was born on March 26th for those who didn’t catch that reference.